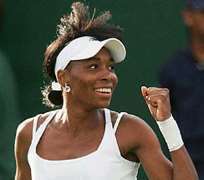 WORLD number two, Vera Zvonareva, crushed five-time Wimbledon champion, Venus Williams, in Hong Kong yesterday as some of the world's top women prepared for the year's first Grand Slam. In Auckland, top seed, Maria Sharapova, also suffered a shock 6-2, 7-5 defeat by Hungarian veteran, Greta Arn. Zvonareva's 6-4, 6-2 victory - and wins by her teammates Maria Kirilenko and Yevgeny Kafelnikov - helped Russia into an unassailable 3-0 lead over the Americans with only the mixed doubles to play at the World Team Challenge season-opening exhibition tournament. “It's an exciting moment for me. It's the first match of the year and I'm really happy the way I started,” said the 26-year-old, who was in scintillating form ahead of the Australian Open starting on January 17. “Venus is a great champion and it's always a pleasure to play against her,” she added. Zvonareva, who has 10 WTA career singles wins, was vastly more consistent than the American in the semi-final clash. Williams, 30, struggled in the chilly 3,600-seater Victoria Park stadium, getting off to a shaky start in both sets when she dropped her first service game. The world number five is recovering from a series of knee injuries and never looked at ease, making 16 unforced errors and managing just five winners against Zvonareva's 10. Zvonareva, a canny baseliner, who is at home on all surfaces, showed more guile than her opponent, out-serving Williams by aiming the ball close to the six foot one inch (1.85 metre) American's body and crowding her out of the match. Top seed, Maria Sharapova, suffered a shock 6-2, 7-5 defeat by Hungarian veteran, Greta Arn, in Auckland quarters. The Russian made 30 unforced errors, three double-faults and hit only won clean winner as she lost in 91 minutes to the unseeded 31-year-old. “I started off really slow, got down two breaks and I think she gained a tremendous amount of confidence from that,” said Sharapova. “I had my chances in the second set but I didn't play the same way I had played to get there. Obviously, I would have loved to play a few more here and be the winner, but that's the way it goes. You look forward to the next one. Moreso, Heather Watson's impressive run at the Auckland Classic came to an end with defeat by Shuai Peng in the last eight. Watson, the British number three, was playing in her first WTA quarter-final after coming through qualifying, but went down 6-4, 7-5. The 18-year-old is projected to move up from her current ranking of 176 to inside the world's top 150 next week.